Yes, you've read correctly. It's time to say bye-bye to the light bulb you've grown to know and love. 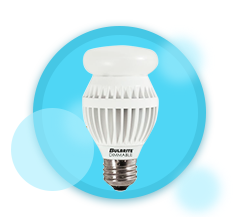 In 2007, Congress passed a law to encourage the use of more efficient bulbs nationwide. 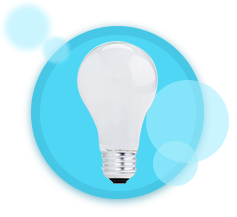 According to this new legislation, the Energy Independence and Security Act (EISA), all light bulbs must be up to 30% more efficient as of January 1, 2012. 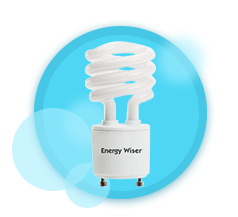 The final stage of the phase out will become effective on January 1st, 2014 affecting the availability of traditional 40W and 60W incandescent bulbs. Now is the time to select an energy efficient alternative without losing the light you need. Here is a summary of old versus new light bulb technologies. The most important thing to note is that BRIGHTNESS which is measured in “lumens” does not change when choosing a new energy efficient alternative. What does change is the amount of energy consumed – which means you can save money on your electricity bill with these new options!